We have got you covered down to every last, little detail! 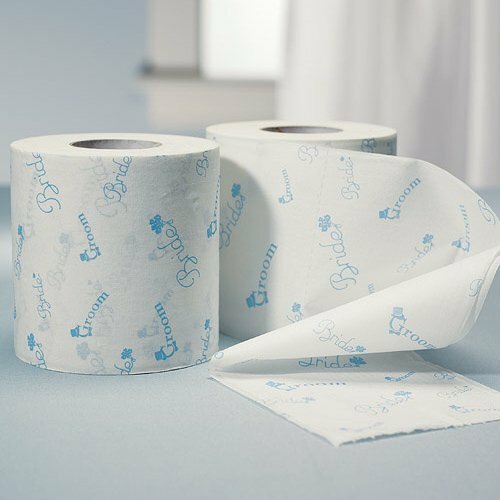 Surprise your guests with our fun "Bride" and "Groom" Something Blue Toilet Paper. 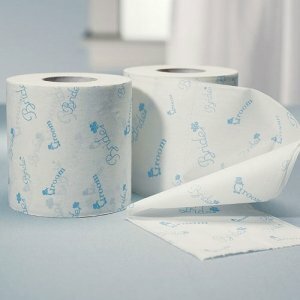 This 2-ply toilet paper has a festive wedding day print that is great at pre-wedding parties, showers or almost any wedding venue. It is a whimsical addition to the day that will make your guests smile - even in the restroom. Sold in sets of 2 rolls. Measures approximately 38.25 yards in tissue.